Wash and chop pork ribs into small pieces. Place them into a mixing bowl. Marinate well. Keep in fridge for at least 4 hours. 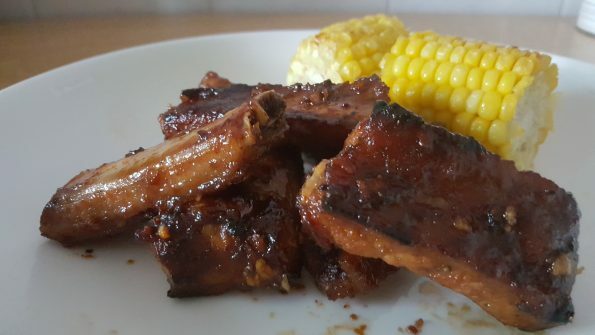 Place pork ribs into air fryer. Cook for 15 minutes. Lightly coat the pork ribs with honey.